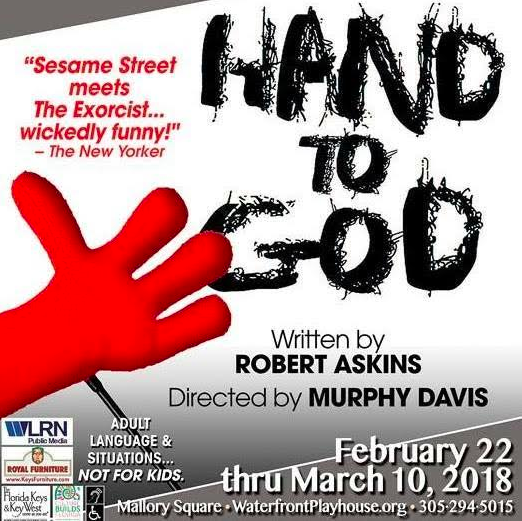 Jeremy is doing HAND TO GOD at the Waterfront Playhouse February 22nd - March 10th. Jeremy is doing FOREVER PLAID at the Waterfront Playhouse May 10th - 27th. Jeremy is playing Nicky/Trekkie Monster/Bad Idea Bear in AVENUE Q March 2nd - 25th at the Waterfront Playhouse in Key West! Jeremy will be doing a reading of Matthew Webster and Taylor Ferrera's new musical PROPAGANDA! on March 25th, 2013. Jeremy is now working with Emerging Talent Agency. Jeremy's managing office has now merged with The Bohemia Group. The award ceremony will take place on October 28th at St. Luke's Theatre. Tony Award winners Mark Hollman and Greg Kotis. Directed by Leigh Silverman. Music Direction by William Wade. YEAST NATION will be presented in an open public reading on September 21st. Jeremy will be playing Jared in the new musical WH@ IF? by Jeremy F Richter this summer in The Midtown International Theatre Festival. The show runs July 18th - August 3rd. Jeremy will be reprising the role role of Mordechai in the musical WARSAW written by the brilliant William Wade and directed by the amazing Jamibeth Margolis on November 13, 2011.